This entry was posted in Epic Battle Fantasy 5 on February 22, 2019 by Matt Roszak. 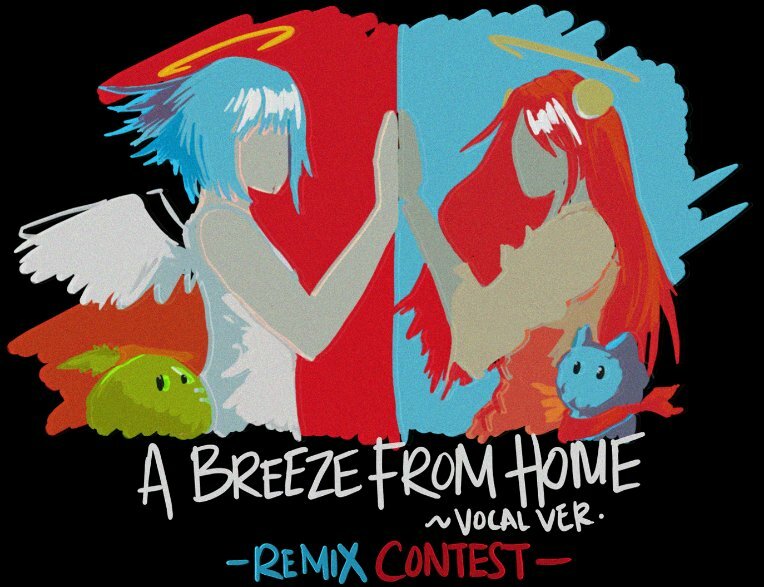 The A Breeze From Home Remix contest results are in and you can check out the rankings and listen to all the entries here. Congrats to the winners and thanks to everyone who entered as well as Phyrnna and Troisnyx for putting this together. This entry was posted in Epic Battle Fantasy 5 on February 15, 2019 by Ronja. 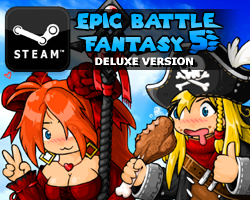 Hey guys, it’s time for a second Epic Battle Fantasy 5 foe competition! As you all should know by now, the game released on Steam a couple of months ago, but I’m still working on additional dungeons and secret areas. 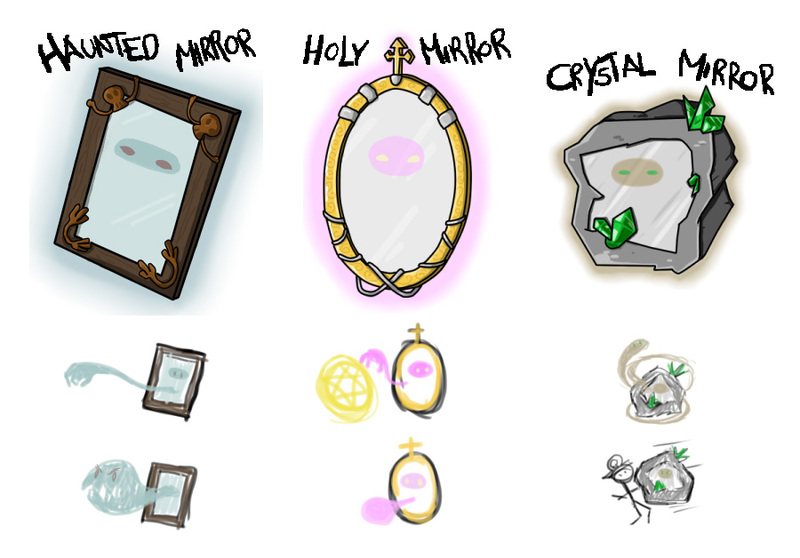 The first foe competition had artists submitting designs for enemies, and then I would animate them and put them into the game. The Voodoo Dolls, Haunted Mirrors, Fallen, and Bomber Cats were all created this way. • Art must be submitted in .PNG format, and must include a normal-sized and zoomed-in version, as shown above. • Art must be your own work, and original. No recolored Sonics! ◦ 2 alternating “idle” sprites, that will make the foe look like it’s walking or dancing on the spot. ◦ 1 “hit” sprite, for when the foe takes damage or dies. ◦ 1 or more “attack” poses, used during attack animations. ◦ “Skull” and “bone” particles, for the death animation. ◦ Any projectiles or accessories that may be needed. • I can add any sprites that are missing, and may edit any that don’t work well. You can write a description of how you think your foe should be animated, if you wish. Animations don’t have to be like the ones shown in my example – I can animate completely different death and attack animations for new foes. So the sprites listed above are flexible guidelines. • Sprites should be small. Mine are roughly 16×16 pixels, and I recommend staying under 50×50. • You don’t need outlines for your foes, they will always appear on a black background. • Your image background should be transparent. • You don’t need to arrange your sprites in any particular way. It’s nice if you keep things compact, but I’ll be cutting the sprites out anyway. Canvas size doesn’t matter. • I prefer creatures, not humans. But I won’t rule out humans completely if they’re creative. • Winners will be chosen for style, creativity and uniqueness! I’ll be aiming to animate a huge diversity of foes. The goal of this competition is to make retro-themed enemies that will remind players of earlier times. This is not essential, but I encourage you to base your art on that of early games consoles, like the NES, Atari, or SNES, taking into account their color and resolution limitations. You can cheat a little if you wish, or just make up your own pixel art style. 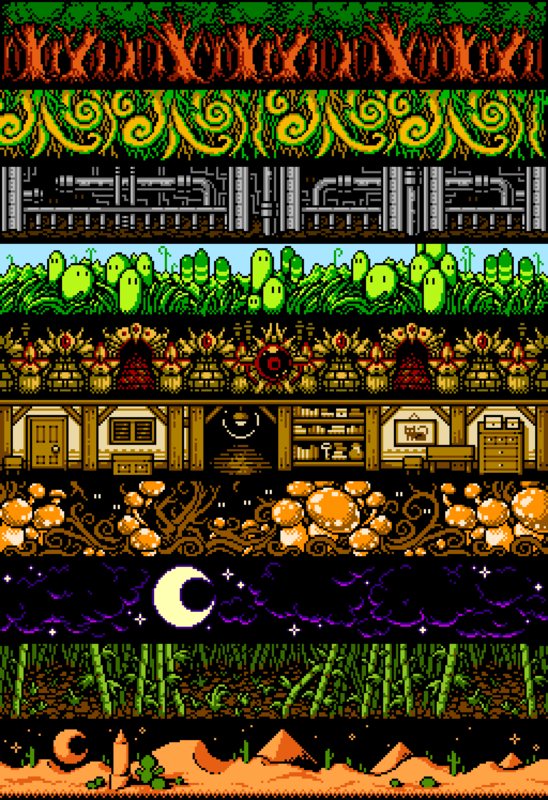 My designs are based on Zelda 1 monster sprites, with the battle background being in the style of Final Fantasy 3. You too should refer to old games that you like. You should also consider what elements or status effects that your foes might use or be weak against, so that they fit nicely into the EBF battle mechanics. Try to design monster types that have not appeared in the game yet. You can discuss this competition in the Foe-Competition channel on the EBF Discord. I encourage people to share work-in-progress and pixel-art advice there. Make sure it’s public and please send me a link to it. If you post it anywhere else there’s a risk it will get lost. If you can’t do that, you can email your art to me at kupo707 at hotmail.com. You’ll get to see your art come to life in a popular game series! You’ll have your name in the credits. 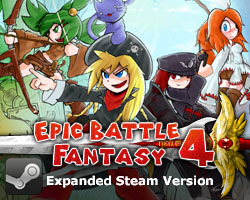 By submitting your art you agree that I can use it in Epic Battle Fantasy 5 and in any possible future games, on all platforms, forever (if you win the competition). I will not own your art and you can still use it in whatever way you like. You will not own any part of the EBF games and will not receive any compensation except for the prizes listed above. The Pixel Art Foe Competition will run for a few months. I’m not sure exactly how long, but I’ll end it when it looks like I’ve got enough designs to work with. Winners will be announced on my blogs as I animate each foe. This entry was posted in Epic Battle Fantasy 5 on February 11, 2019 by Matt Roszak. Hey guys, with EBF5 launched, here’s a little road-map of what I plan to do next. • Sometime this month I’ll release version 1.5 on Steam, which will include some minor bug fixes and balancing tweaks, and the Chinese New Year quest. • I’m not in a hurry to publish the game on Newgrounds and Kongregate, as I’d like to rest for a while, and it doesn’t need the extra publicity at the moment. I’ll update the free version on my website though, so please yell at me if I haven’t done that by next month. • I have a lot of new content planned for EBF5, which I’ll release in… I dunno, half a year or more? This includes 3 more optional dungeons and other secret stuff. • I’ll probably pause my Patreon, as I don’t have anything to post there at the moment. But sometime later I’d like to add more perks, such as a section in EBF5′s Grand Gallery that lists long-time patrons. • Once ALL of that is out of the way, I’d like to attempt a mobile port of EBF5. Running the game on mobile is no problem, it’s just a question of improving the performance and changing the user interface. I don’t know how it will turn out. But anyway, I’ll be taking it easy this month and maybe next month too. The only work I’ll be doing is minor game updates, replying to user problems, and legal/accounting paperwork (woo, fun) such as officially hiring Ronja. This entry was posted in Epic Battle Fantasy 5, Personal Life on January 12, 2019 by Matt Roszak.